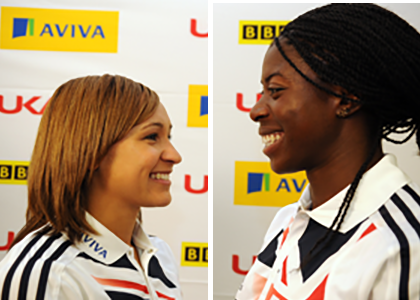 Sportsister chatted to Christine Ohuruogu and Jessica Ennis at the launch the Aviva Series 2011. 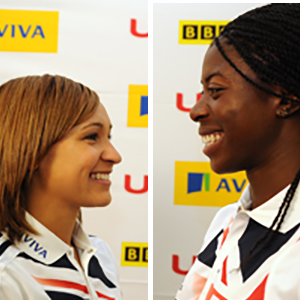 Both women are tipped for the top in London 2012, but how are they feeling right now? Nervous or excited about London 2012? Christine: At the moment I am excited. Jessica: Really excited, I think the whole thing is going to be amazing. 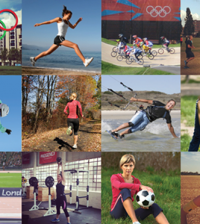 Do you like competing at home? Christine: Yes and no, at home there is so much more pressure and I do feel it. But then if you do well, it’s amazing because the crowd go crazy. The great thing about the Aviva series is that we can get used to how it feels. It’s the perfect build up to 2012. Jessica: Yes I do, I love all the support from the crowd and the familiar atmosphere about it. What’s the best thing about Jessica/Christine? Christine: Jessica has amazing strength of character that sees her through two whole days of competition. It must be so hard to gear yourself up for each new event, especially if the last one didn’t go so well. That’s the thing with the 400 its just done in less than a minute, so I have a short time to be in the zone, Jessica has to maintain it over two days – that’s crazy. Jessica: Umm, what did she say about me? Well, Christine is amazing, but if I had to choose one thing it would be her legs, her lovely long legs – I wish I had them! Front Row at any 2012 event? Christine: Well, I think it would have to be athletics even though there are many other brilliant things to watch. I think it would be the men’s 100m relay – I think it would be amazing to be by the finish line. Jessica: There are so many, but it would have to be athletics, and I think probably the ultimate would be the men’s 100m to see if Usain Bolt can do something amazing again. Christine: Summer definitely, I love being warm and although the snow and frost is very pretty, it just makes everything harder. 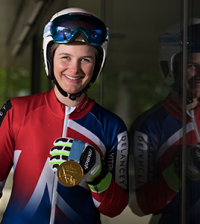 Jessica: Summer definitely, I hate being cold, but we did have some fun in the snow last year – my coach Tony dug out a whole lane of the track all the way round – it was really funny, like we were are just running around one loop in a sea of white. To be honest though it did get bit annoying after a while, so I hope we don’t get too much cold weather this winter. Where are you training this winter? Christine: I am looking forward to some warm weather training in Jamaica, I love it over there – the training is hard but it’s a great place to be. 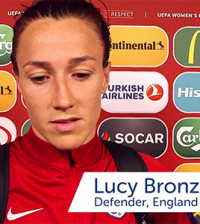 Jessica: In Sheffield as usual, it works for me so there’s no reason not too. Christine: High heels definitely, I hate trainers now! Jessica: High heels definitely, I love getting dressed up. Christine: No – I don’t think I want to know! Jessica: No, but I am curious. Part of me would like to but then I think I would worry too much about what they said, so its better if I don’t. Christine: Well I will be 36 , so married with loads of kids hopefully. I don’t think I will still be running – in fact I hope I am not still running! Jessica: Ooooh with lots of gold medals hopefully.